Merck Millipore, the Life Science division of Merck KGaA, Darmstadt, Germany, accepted a Silver Stevie® Award for its AFS® E Water Purification Systems at a banquet held on Friday, September 11 in San Francisco. The award was conferred by The American Business Awards℠, the premier business awards program in the United States. The AFS® E systems won the silver award in the "Health & Pharmaceuticals – Products & Services" category in an event dedicated to outstanding new products and technology industries. Finalists were announced in May from over 3,300 entries submitted, and Gold, Silver and Bronze winners were judged and determined by more than 200 U.S. executives. Created in 2002 to recognize the achievements of organizations and professionals worldwide, the Stevie® Awards are organized in six separate programs, including The American Business Awards℠. Merck Millipore was represented at the awards dinner by Mohamed Bacchus, Regional Director of Sales West – Lab Water, and Joseph Plurad, North America Field Marketing Manager - Lab Water. "These AFS® E water purification systems incorporate our latest innovative technologies," said Joseph. "I'm proud to accept this award on behalf of all my colleagues worldwide who helped develop and support these new systems. By listening attentively to our clinical laboratory users, we were able to take their demands — as well as unmet needs — into account. The result is impressive, with systems offering our clinical lab customers the best advanced water purification technologies, as well as a unique user interface, serviceability, and sustainability." The AFS® 40E, 80E, 120E and 150E Water Purification Systems provide an economical and reliable high-performance solution for clinical analyzers with daily pure water needs up to 3000 liters. 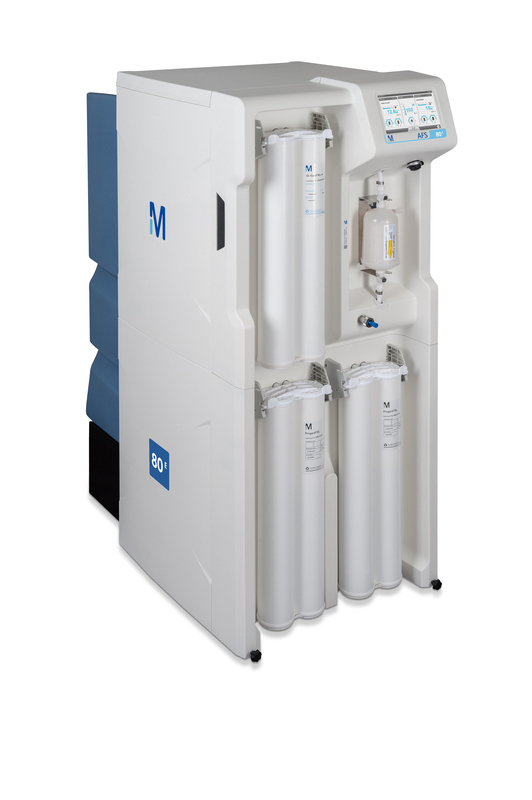 These systems integrate Merck Millipore's state-of-the-art Elix® electrodeionization module, unique E.R.A.™ technology that decreases costs by automatically optimizing water recovery based on feed water quality, as well as 24/7 real-time monitoring and remote control. Merck Millipore is the U.S. Life Science subsidiary of Merck KGaA, Darmstadt, Germany. As part of the global Life Science business of Merck KGaA, Darmstadt, Germany, Merck Millipore offers a broad range of innovative, performance products, services and business relationships that enable our customers' success in research, development and production of biotech and pharmaceutical drug therapies. Through dedicated collaboration on new scientific and engineering insights, and as one of the top three R&D investors in the life science tools industry, the Life Science business of Merck KGaA, Darmstadt, Germany, serves as a strategic partner to customers and helps advance the promise of life science. Headquartered in Billerica, Massachusetts, the global business has around 10,000 employees, operations in 66 countries and 2014 revenues of €2.7 billion. Merck KGaA, Darmstadt, Germany, is a leading company for innovative and top-quality high-tech products in healthcare, life science and performance materials. The company has six businesses – Biopharmaceuticals, Consumer Health, Allergopharma, Biosimilars, Life Science and Performance Materials – and generated sales of € 11.3 billion in 2014. Around 39,000 employees work in 66 countries to improve the quality of life for patients, to foster the success of customers and to help meet our global challenges. Merck KGaA, Darmstadt, Germany, is the world's oldest pharmaceutical and chemical company – since 1668, the company has stood for innovation, business success and responsible entrepreneurship. Holding an approximately 70% interest, the founding family remains the majority owner of the company to this day. Merck Millipore, the M mark, AFS, and Elix are registered trademarks of, and E.R.A is a trademark of Merck KGaA, Darmstadt, Germany. Any other trademarks are the property of their respective owners.